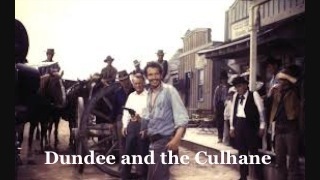 Dundee and the Culhane – western TV show. Originally airing in 1967. There are only 13 episodes and the series starred John Mills, Sean Garrison and Roy Poole. This western series follows the exploits of two frontier lawyers who provided legal defense to their accused clients. CLICK ON THE PHOTO TO GO TO Dundee and the Culhane – western TV show VIDEOS. This entry was posted in Dundee and the Culhane – western TV show, Western TV Shows Full Length and Free to Watch Online and tagged complete, Dundee and the Culhane, Episode Guide, episodes, free, frontier, full length, John Mills, lawyers, online, Roy Poole, Sean Garrison, series, shows, television, TV, watch, western, western TV show, westerns. Bookmark the permalink.